Enjoy views overlooking the Thanksgiving Day parade while celebrating with a full Turkey Day-themed buffet, including traditional turkey with stuffing, as well as British classics like Beef Wellington. Celebrate a quintessential New York Thanksgiving when booking the Carnegie Suite between Nov. 21-23. 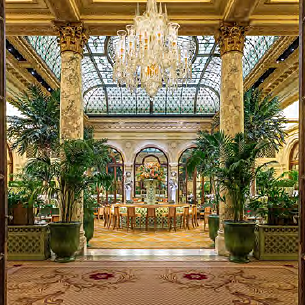 Begin your day with breakfast in the Palm Court, then take in the Thanksgiving Day parade with reserved seats and a Plaza thermos and comfy blanket to keep you toasty. 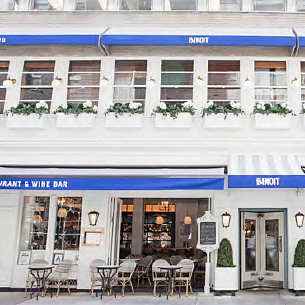 Warm up after the parade with a three-course Thanksgiving meal, featuring Roasted Natural Lancaster Country Turkey, Jumbo Lump Crab Cake, Dutch Apple Pie with butterscotch sauce, and more. Enjoy luxe takes on holiday classics at the Thanksgiving Grand Buffet, such as the Cider-Glazed Turkey Breast with rosemary pan gravy, Lobster Bisque a l’Armagnac, Vanilla White Chocolate Cheesecake Trifle and more. 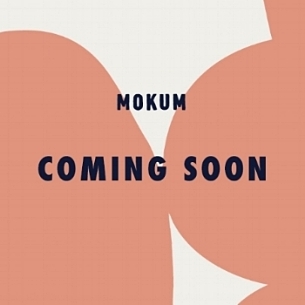 Welcome Mokum to the neighborhood with a three-course Thanksgiving Day menu including Butternut Velouté with Chestnut & Charred Country Bread, Roasted Turkey with Italian Sausage & Brioche Stuffing, and Deconstructed Pumpkin Pie. Choose from three options: Katz’s annual all-you-can-eat-and-drink Thanksgiving dinner, featuring traditional favorites and Katz’s signature dishes; a four-course dinner with Jewish specialities and classic Turkey Day sides; or a family-style traditional Thanksgiving. 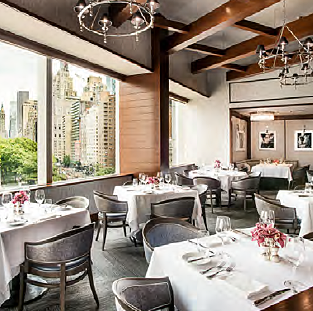 Alain Ducasse’s midtown bistro offers a French take on Thanksgiving with a three-course all-day menu, including a Maine Lobster Salad with celery root remoulade and truffle, Vermont Farm Turkey stuffed with foie gras & chestnut with cranberry condiment and “Pumpkin Pie” the Benoit way. 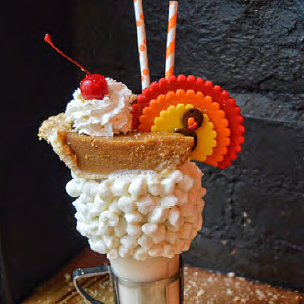 Slurp on the season’s best dessert in liquid form with The Pumpkin Pie Shake, featuring a vanilla frosted rim with mini marshmallows topped with a slice of pumpkin pie, turkey marzipan lollipop, whipped cream & a cherry on top. The Friendsgiving Essentials Kit via Giftagram is a curated box with stylish accessories that includes a Ketel One Botanical varietal of your choosing, a white marble cheeseboard, festive gold coasters, a two-part Kinto Aqua Culture vase and a recipe card to awaken your inner mixologist. KETEL ONE BOTANICALMade With Vodka Distilled With Real Botanicals And Infused With Natural Flavors. 30% Alc/Vol. © Double Eagle Brands, B.V. Imported by Ketel One USA, Aliso Viejo, CA. 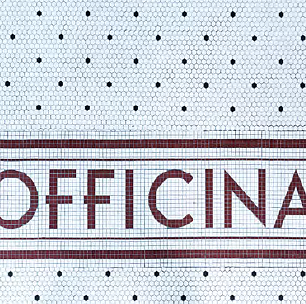 Order one of Officina’s pre-set packages including an organic, free range turkey and a selection of prepared side dishes. Need a wine pairing? Have their experts take care of that for you too. 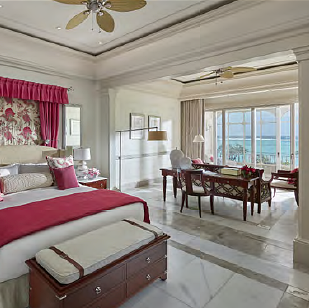 Mandarin Oriental’s first resort in the Caribbean is ready to welcome guests this Thanksgiving with delectable cuisine, private jet transfers and a variety of activities and indulgences for a memorable, fun-filled holiday with family and friends. Get inside access to a high-end Black Friday shopping experience with the Bespoke Black Friday package. Every detail, from a gourmet Thanksgiving dinner to luxury presidential suite accommodations, and an elite shopping experience is completely personalized.